I've seen that band! They are pretty good even though the guy that does John is a little chunky (not that it should matter much). 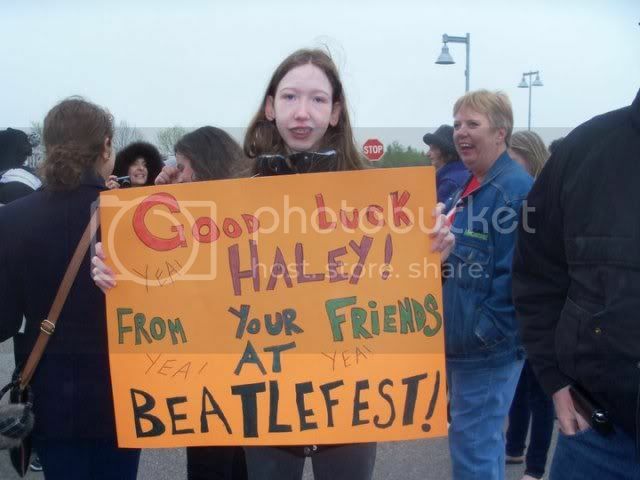 Congrats on contacting haley. (05-20-2012, 10:07 PM)brandon70 Wrote: I've seen that band! They are pretty good even though the guy that does John is a little chunky (not that it should matter much). Congrats on contacting haley. 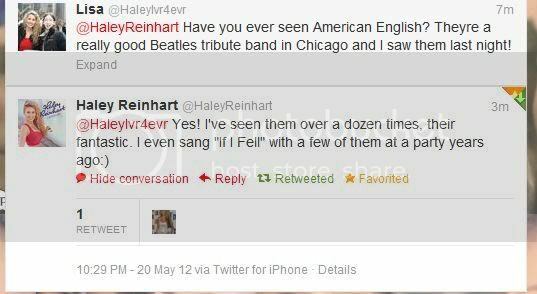 Congrats on the tweet...Haley and you are sweeeet! "If I Fell" Ah young love , I used to listen/sing that song over and over as a kid. I JUST GOT TWEET #2!!!!!!!!!! I showed her the sign I made for her top 3 homecoming and she replied "love that!"!!! !